Summer Calls For Thandi Chai And Fruity Lassis Of Chaayos! I have always been dotty about their customized chai or”Meri Wali Chai” as they have named it. 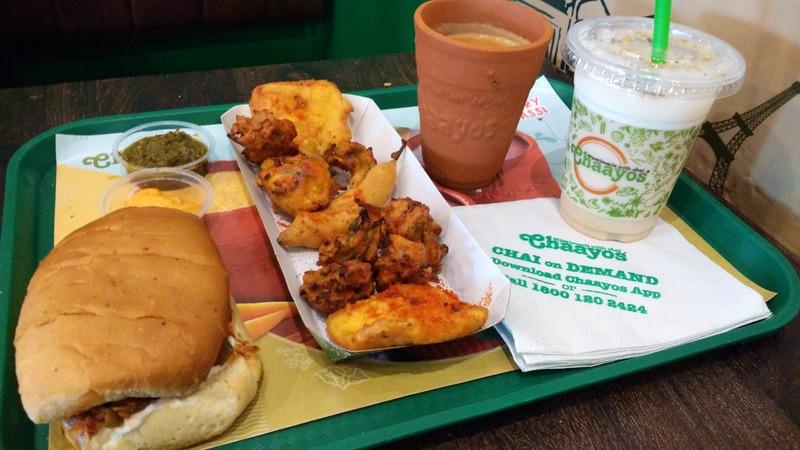 But this time, I visited Chaayos to have knowledge of their new Summer menu. The new menu is short but the dishes are absolutely delicious as well as healthy. I tried their new Egg bun, which was moist on the outside and filled with egg whites, corn and mayo with dried mint flavours. Among the four different lassi flavours itemized in the menu; mango, mint, strawberry and litchi, I settled on the king of fruits. What I loved about this lassi was that it was of perfect consistency; neither too runny nor too thick. Also, the sweetness was perfectly balanced; something I have not been able to find in other places. Another unique drink is their Thandi chai. Those who haven’t been able to like iced tea would love this chai. It is similar to regular chai, but it’s cold and is flavoured with cardamom.